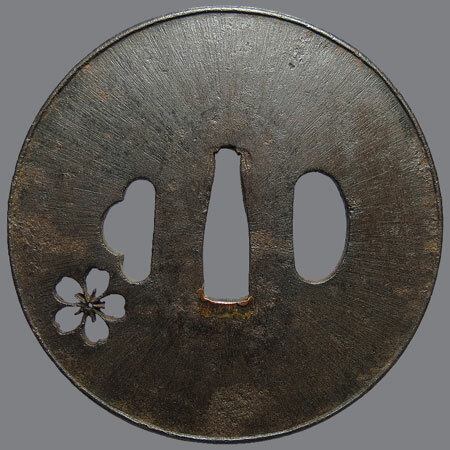 Tsuba is made around 1700 by one of the Toda's family masters, who worked in Owari province from 1600 to 1750. 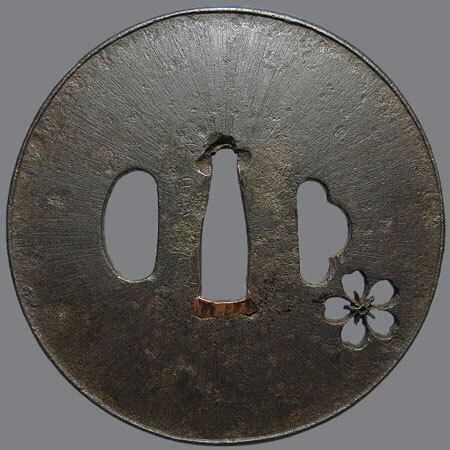 A classical sample of this craftsmen's work: round shape, raised rim, surface with radiated filemarks amida yasuri and small negative openwork decor of sakura. 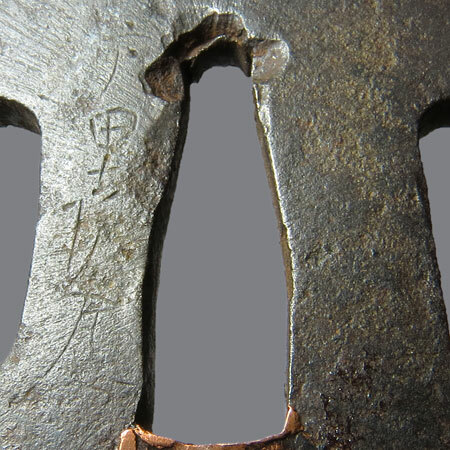 The inscription is made with very thin lines. Inscription: 戸田彦左衛門 (Toda Hiozaemon). Toda family school, Owari province. Maru Gata, uchikaeshi mimi; 7,3 х 7,3 x 0,4-0,3 cm.